Democratic candidates for the 39th Assembly District, the 13th Senate District and the 14th Congressional District met for a series of debates Thursday night in Jackson Heights. 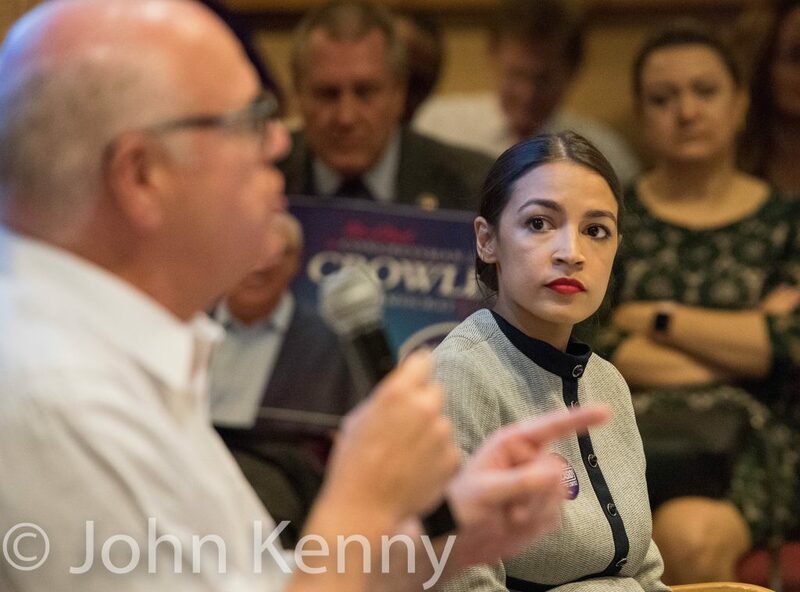 Assembly Member Aridia Espinal debated challengers Catalina Cruz and Yonel Letellier Sosa, Senator Jose Peralta debated Jessica Ramos and U.S. Rep. Joe Crowley debated Alexandria Ocasio-Cortez. Chris Barca of the Queens Chronicle moderated each of the debates. Organized by several civic and activist groups, the debates drew an overflow crowd to the Jewish Center of Jackson Heights.